Following up to the inaugral post of my new focus for Rev2 — the entrepreneur — I received a great suggestion from Gonzalo Arzuago of KillerStartups: the entrepreneur and the deadline/time/launch date. Yes, any entrepreneur who is reading this knows what I am talking about, and if you haven’t worked on your own company yet, chances are that you’ve experienced this problem in at least some form of your life. So, here’s the deal: you have a huge idea — the company, the product, the business. There are some key components to this idea — the features, the legalities, the human resources, etc. — and thousands of little tasks or ‘ideas’ within them. Initially, you, as the entrepreuner, are responsible and accountable for every task — big or small — and every decision. The problem: you have a launch date. You have to complete something sooner or later, and you have to ship or launch something tangible for the world to see. Now, the dilemma: you can launch with the sucky product in 5 weeks. Or you can launch with a super fantastic perfect product in 5 years. Or you can take an approach between, and try and launch at a point where your product is good enough, the time is soon enough (so the market doesn’t deteriorate and a competitor doesn’t beat you to it), and where the feedback loop of your users/customers can act to your advantage to better your product in the time after launch and give you a growing sense of what they want vs. what YOU think they want and what YOU are willing and able to give to them. So, as any rational entrepreneur would figure, the third option would be ideal. Here, if you’re able to master the balancing act, you’ll have the best product in the shortest and most appropriate time (for the market) and a feedback loop is going to kick in that is going to keep you going and innovating forwards. But unfortunately, this is where most entrepreneurs lose touch. You can’t launch a crappy product in 5 weeks, because you passed on that decision, and you can’t launch a fantastic product in 5 years, because you gave up that too. So, when do you launch? This becomes yours — and the team’s — problem. But assuming you are able to agree on a deadline — whatever that is — the real trouble comes when you have to follow up on it. A Problem of the Universe: you can’t predict how long it will take for you to take an action, or complete a task. It is impossible. Unfortunately, god overlooked this little “feature” when he was building the world, and left it to us humans to deal with it. And as entrepreneurs, deal we have to. A “side” feature can hold you back for months and make you skip and reschedule 10 deadlines, where as that monster of a product-killer can be completed over a Coke Zero-fueled weekend. If there parts of your product you complete in less time than you expected, that’s great, but where you have to plan for — and look towards — is when that thing you and your team have been intending to complete for sometime gets pushed and even pushed. This is tougher for the smaller startups — some with even fewer than 3 members (like ours has been) — where we have no solution other than completing something ourselves — within launch date or beyond it. As entrepreneurs, the problem in the way we predict when we intend to have something complete is that we live in Disneyland. The Disneyland is our product — the potential outcome, opportunity, result, suffice to say a “place where dreams come true.” That Disneyland, while based in real time and space, unfortunately doesn’t seem to follow the traditional laws of rules and rationality. Since we live there, we’re delved so deeply into our ideas and what’s beyond the horizon, that we simply can’t compute realistic time-frames and things the market needs at a particular time vs. how soon we can provide it to them. In Disneyland, we see the world like it should be, not what it is. This is our perfect world, and whether that correlates to the real world or not is something we don’t care about — after all, we are, as entrepreneurs, here to create the future — that perfect world — not live in state and ideals of today. And that, suffice to say, hinders our ability to predict and to deliver immensely. As I said in my inaugural post, I intend to pose questions rather than offer definite advice in my thought pieces. My idea is to get you thinking — not for you to copy my one-time-proven advice, or anyone whose I may have copied. Personally, I think the cure is to spend your days in Disneyland but your nights in the world outside. Of course, I mean this is an analogy — I think by staying focused on your product when you should be, and examining and analyzing the world when you should be, you can strike a good balance of innovating vs. creating real market solutions at the time they are needed and having them, over time, turn into that vision you had in Disneyland. The key is to have a good grasp on the state of market, and on your own abilities, skills, and resources. But of course, that’s just what I think. A lot of entrepreneurs I know live in Disneyland and are happy there — they can churn out the best stuff and take all the time they can to do it. They’re not worried about being “on time” or entering the market before it’s seemingly too late. And that’s a fine approach. It can work for many. On the other hand, the Google guys launched the crappiest product they could ASAP and improved it over the years, and look where they’ve come to. They cared about the market so deeply that their “Disneyland” would only appear in their dreams once every fortnight. They spent their days working out something the market needs right now, not the world-changing, patent-pending search technology they could potentially provide in 10 years. And 10 years later, we have the Google we know right now, and it’s been active and making billions every quarter for the last few years. 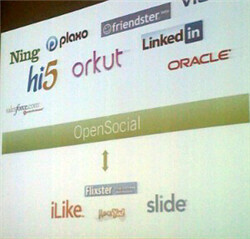 This approach has also worked for Apple, Microsoft, YouTube, Digg, and others in their early days. UKWizz for Sale: Any Bidders?